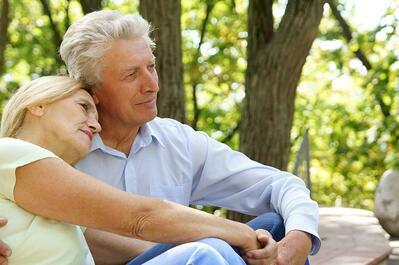 Choosing a senior living community can be a monumental decision. From where to begin to which questions to ask, the list of considerations can be overwhelming. And while it’s not an easy process, it’s not insurmountable, either -- particularly if you understand all of the elements that go into finding the right living arrangements for seniors and the people who love them. To that end, we’ve rounded up 23 factors to keep in mind when evaluating senior living communities. One of the primary differences which separates one senior living community from another is their mission. Visiting each prospective community’s website should yield valuable insights into its guiding approach to senior care. Some will align more closely with your own attitudes and beliefs than others. This is a great place to start narrowing down your list. While intuition is far from the only factor upon which to base your decision, it’s an important one. Is an environment warm and vibrant or is it cold and austere? Is the staff friendly and receptive? Is the food appetizing and the dining room atmosphere appealing? How a community makes you feel when you visit is critical. Whether you’re looking for a residence in a peaceful rural setting or one with a more urban vibe, location is key. Proximity to family members, of course, may also be paramount. Perhaps your aging loved one enjoys going out to eat, seeing movies, and playing nine holes. Or maybe fishing and bowling tops his/her list of favorite hobbies. Finding a residence near these and other desirable destinations can help support senior involvement while also nurturing social connections. Frequent flyers (or riders) should aim to select a community with easy access to public transportation options such as airports and train stations to keep them on the go. Some residences also provide transportation to travel hubs, making it easier than ever for seniors to follow their wanderlust. From continuing care retirement communities (CCRCs) to rentals, senior living arrangements can be very different in nature. Additionally, they come in many shapes and sizes, including everything from single homes and cottages to apartments and duplexes. Depending on personal preferences as well as financial considerations, one type of community may be a better fit than another. Not all seniors share the same needs. Nor do all senior living communities provide the same level of service. Are you looking for an independent living residence, or is personal care, assisted living, at-home services, or skilled nursing care required? Residences which offer dementia or memory care, meanwhile, are likely to be most appropriate for older adults living with Alzheimer’s disease or other cognitive issues. Many people fail to realize that neither federal or state guidelines require licensed senior living communities to be accredited. However, only accredited senior living communities have demonstrated their ability to meet or exceed a prescribed standard of care. Be sure to ask about the accreditation process along with other measures aimed at ensuring quality. In some cases, seniors will enter into a residence in need of rehabilitation or skilled nursing care. In other cases, these needs may emerge over time. Understanding in advance whether access is available either on or off campus can help ensure an optimal living situation. Just like the rest of us, seniors thrive when they feel engaged and included. Ask about diversity among both residents and staff, as well as about programs designed to cultivate interactions between all members of the community. 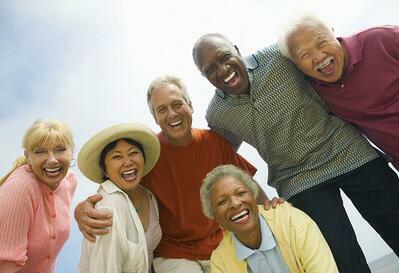 Senior living communities offer a breadth and depth of enrichment-oriented programming. While some are more basic, others are extensive. Furthermore, some communities also allow residents to customize their own activities, while others have fitness facilities and swimming pools -- a positive for active seniors. Learning which residences offer which activities can help you determine which ones may be a good fit for your aging loved one’s interests. People of all ages have the potential to learn and grow. Based on research which shows that successful aging is largely dependent on lifestyle, Masterpiece Living programs partner with senior living communities to maximize the potential of older adults by creating a culture and environment aimed at supporting growth -- for seniors of all ages and abilities. In addition to regular activities, many senior living residences also sponsor campus events for residents and their families. From Thanksgiving dinner to grandparents day, these types of programs help build communities while inviting family members to join in the fun and promoting pride among residents. A bounty of research points to the benefits of pets for seniors. Some communities welcome all pets, while others allow them but with restrictions and/or extra fees. If having a pet or being around animals is important, identifying the most pet-friendly residences is key. Determining the price of a particular senior living community is only one part of the big financial picture. Also vital are considerations such as how the bill will be paid, where the money goes, and what happens if a senior runs out of money. Staff relationships can make or break an experience in a senior living community. In addition to logistical concerns like ratio of staff to patients in skilled nursing residences, factors like whether staff members know resident names and have ample time for all of the residents with whom they work should also be assessed. Senior needs can change quickly. While finding a community which can meet specific needs right now is a start, finding one which will evolve to meet his/her changing needs is a terrific way to minimize stress and maximize stability throughout the aging process. While a residence may look perfect on the surface, what you see is not always what you get. Delving deeper into considerations like how many years a community has been in business and whether or not it publicly shares its financials to its leadership, track record and plans for growth, can reveal a more accurate picture. Roughly 82 percent of senior living residences are private and for-profit, according to the Centers for Disease Control and Prevention (CDC). This may directly impact how resources are allocated for care due to the mandate for return on revenue and a better bottom line. While non-profit communities may be harder to come by, they are also less likely to be motivated by the bottom line and therefore may provide better care across everything from lower occupancy to higher-quality food and staff. One of the best ways to determine whether a senior living community is fulfilling its mission is to speak directly with the residents themselves. Some residences offer potential residents the opportunity to meet with residents to ask about their likes, dislikes and other factors. Conversely, residences which fail to provide meet-and-greets should trigger alarm bells. Family members and like-minded friends can offer valuable feedback into the senior living community selection process. Even if they have no direct association with a residence under your consideration, they can offer insights into senior living community pros and cons based on their own experiences. Talking with staff is yet another way to gain a different perspective into what life is like in a particular senior living community. After all, staff members who love what they do and are happy in their workplaces are most likely to be positive in their day-to-day responsibilities. Another way to assess the state of staff is to ask about retention rates - high turnover may hint at hidden issues. 23. Can you see yourself living there? Empathy is one of the most essential characteristics of a caregiver. If you’re wondering whether your aging loved one will be happy in a particular senior living community, put yourself in his/her shoes. Can you see them calling it home and being happy there? One last thing to keep in mind when choosing a senior living community is that they’re anything but one-size-fits-all. Keeping what’s right for you and your family at the center of the evaluation process can help you identify the best fit. Of course, this is a lot of information to retain, which is why we’ve assembled a handy resource comprising more than 30 questions to ask along the way. Click here to download and print the Senior Community Evaluation Checklist today.